Martin Mars water bombers have been phased out of B.C. forest fire fighting operations in favour of much smaller aircraft. Jul. 23, 2014 11:00 a.m. 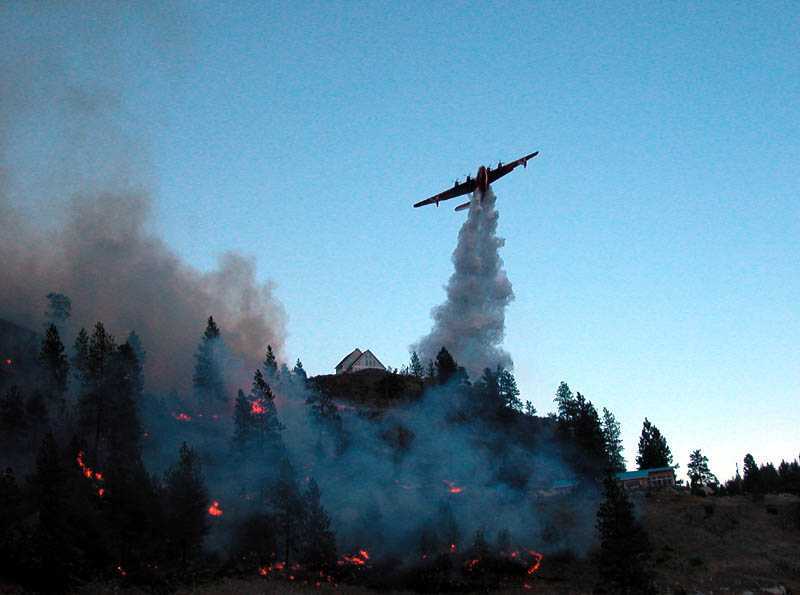 The provincial government is defending its unpopular decision to halt B.C.’s use of the veteran Martin Mars water bombers in favour of newer aircraft to fight wildfires. The B.C. Wildfire Management Branch responded as campaigners closed in on a target of 20,000 signatures on a petition urging the premier to reinstate the 1940s-era amphibious plane. Critics argue the province is spending more money to get less firefighting service than it had with the famous Martin Mars planes. B.C. instead has contracted the use of four Air Tractor “Fire Boss” water-scooping amphibious planes from the Conair Group of Abbotsford for $2.5 million per season. The much smaller aircraft are more flexible because they can operate from more than 1,700 lakes compared to just 113 with the Mars. The new planes can also drop water, foam or retardant on a fire, with an ability to deliver 3,025 litres on a seven-minute turnaround, compared to 19,000 litres with the Mars on a 19-minute round trip. The branch said in statement the new Fire Bosses delivered fire suppressant twice as fast during the recent West Kelowna fire – 586,000 litres in 11.3 hours – as the Martin Mars dropped during the 2003 Kelowna fire. Today there’s only one Martin Mars left in the province, owned by the Coulson Group on Vancouver Island. According to the province, it offered the firm an “as when needed” contract for the 2014 fire season but got no response. The government statement noted the Mars engines are prone to breakdowns, while if one Fire Boss breaks down the other three can stay in service. Separate planes can also be split up to attack multiple different targets at once, which officials say is particularly useful in fighting a series of fires after intense lightning. The Mars, meanwhile, has a large drop pattern that the branch said can make it unsafe to use close to ground crews, who must stop work during a drop, risking the escape of a fire that could have been contained during the initial attack phase. The province also uses various other air tankers and helicopters in fighting fires. More than 100 helicopters are currently in use around the province. The province brought in an additional 153 firefighters from Manitoba, Ontario and New Brunswick Tuesday, joining 350 other out-of-province personnel. Air Tractor “Fire Boss” water-scooping aircraft now in use.